From Spring Festival (Feb 5) to the Lantern Festival (Feb 19), Chinese people worldwide celebrate the new year with the traditional tigers and dragons. Today marks the start of a Year of the Pig, the last animal of the zodiac and a symbol of wealth and good fortune. In the 12-year cycles (one per zodiac sign) of the elements of nature, 2019 marks the twelfth year of the element Earth. People born in a year of the Earth element and Pig sign are likely realistic, communicative, punctual and hard working, but perhaps not so romantic. Less talk, more action, exactly what we need for our planet. 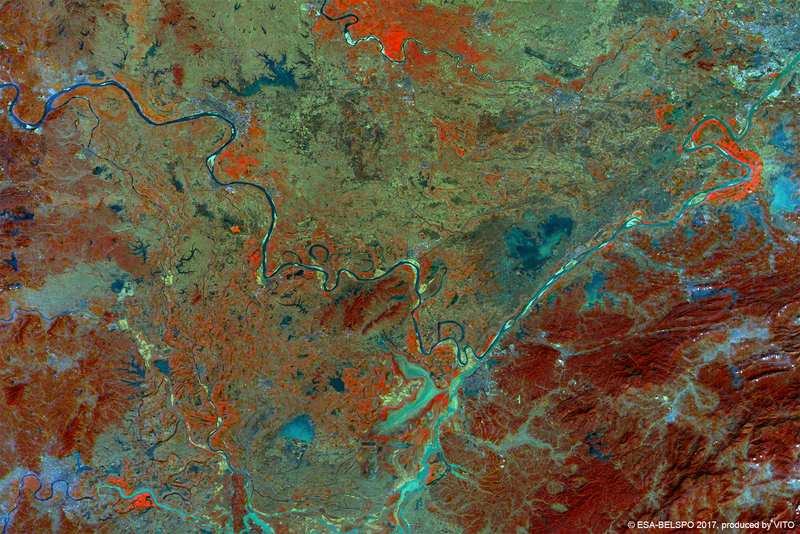 To celebrate the Chinese New Year we share with you this 100 m image of the meandering Yangtze River as it courses through Hubei province, while receiving water from lakes such as Dongting and Changhu. As the longest river in Asia, Yangtze continues to play a vital role in China’s history, culture, economy and ecology.